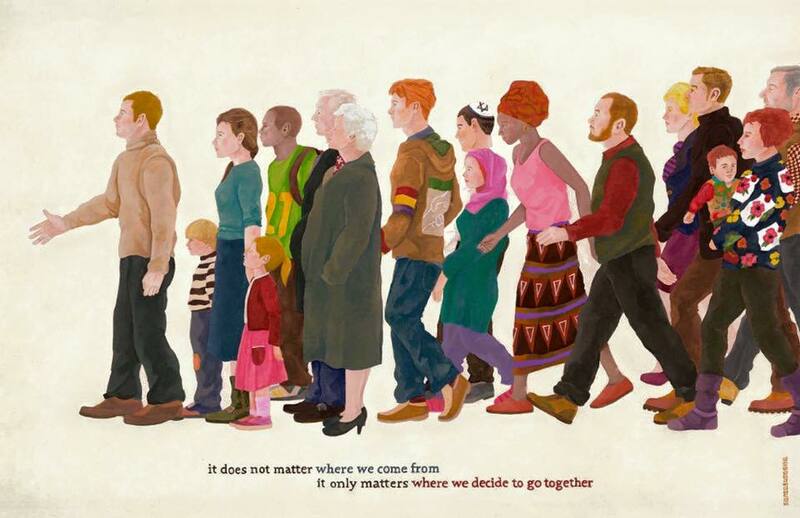 Oscar Santasusagna’s artwork “It Does Not Matter Where We Come From” was originally inspired by Catalonia, but in the light of global events, has a universal message. “The original concept of this work arose from the political and social situation in Catalonia, where I live. There is a strong debate about the independence from Spain, based on several historical, economical and cultural points. But, instead of painting about flags, with whom we can identify with or not, I chose to talk about what we all share in common: respect, even friendship, for people that have a different cultural or religious heritage or political points of view.